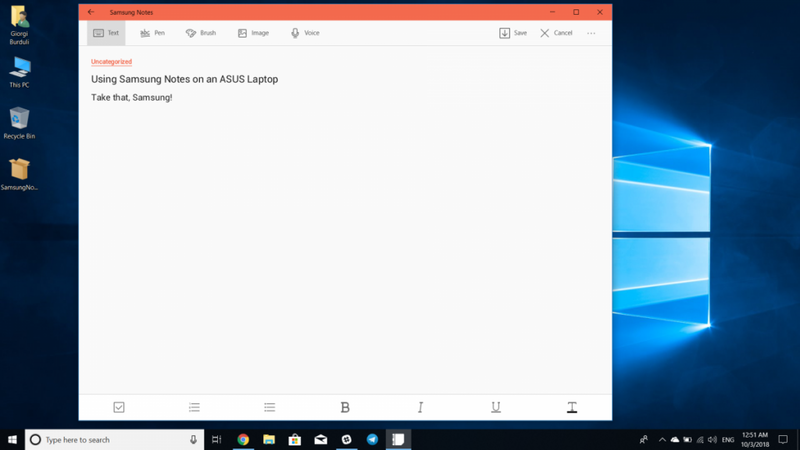 If you’ve owned a Samsung Galaxy smartphone in the past couple of years, chances are you’ve noticed the various integrations with Windows 10 that Samsung phones offer. The devices come with Word, Excel, Skype, and other applications pre-installed. Microsoft even gives you 100GB free OneDrive storage if you activate a Samsung Galaxy device. On the other hand, Samsung also releases some apps for Windows devices. One of those apps is Samsung Notes. Samsung Notes is a simple note-taking application exclusively available only for Samsung laptops, but an XDA community member found a way around that. As it turns out, the Microsoft Store has a weird bug that I could reproduce: After trying to install it a couple of times, the application becomes available to install. On the first two tries, the Microsoft Store told me I couldn’t download the application because it was incompatible with my device. On the third try, the “Install” button appeared. 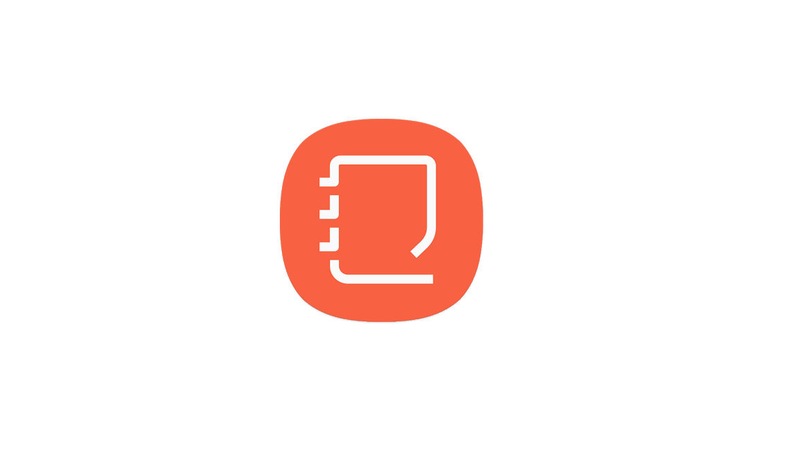 Here is the link for Samsung Notes in the Microsoft Store, so you can try it for yourself. 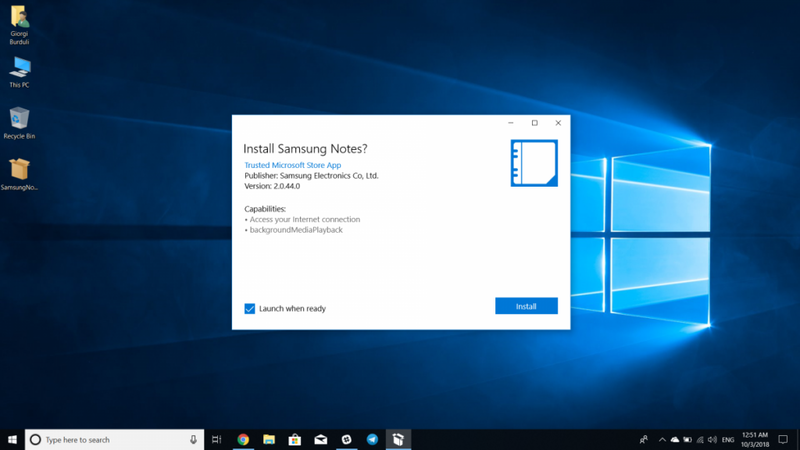 So, using the same bug, XDA Senior Member RGardner backed up the APPX file of Samsung Notes for any Windows 10 PC to install. If you can’t reproduce the bug on your device, download the ZIP file from the link below, extract the 90MB APPX file, and double-click on the APPX file to install. I’m not that big of a fan of Samsung’s apps, but you have to admit that they’re pretty useful. I think I’ll keep the application for casual note taking in class or while writing an article like this one.